Many people get cortisone injections to help them with shoulder, knee, and other joint injuries after an accidents. In fact, cortisone relieves pain and inflammation in the injury site for most joint pain, and is a proven, conservative method to treat pain and inflammation short of surgery. For example, people with knee problems frequently request that their doctors prescribe cortisone injections in order to alleviate problems stemming from their knee sprains from a slip-and-fall accidents, as well as for shoulder joint impingements. And doctors have been prescribing cortisone injections to their patients for years. However, cortisone injections have potential dangers that come with their benefits. Recent studies have shown that repeated cortisone injections can cause damage to your tissues over time. Sometimes, a patient does not get better after one injection, or even a series of three injections (which is a typical prescription), so the patient will request additional injections. Too many cortisone injections can cause what is called a “cortisone flare.” A cortisone flare is a painful reaction that the body has after a cortisone shot. It can last up to two days, and you could experience pain that was far worse than the original injury. It could also weaken your tendons, discolor your skin, and increase your blood sugar levels, which is especially dangerous for diabetic patients. Some doctors have restricted their patients to three cortisone injections a year, or even three injections in their lifetime. Long-term use of cortisone can also cause osteoporosis, hypertension, cataracts, nerve damage, joint infection, and death of the nearby bone (osteonecrosis), among other medical conditions. Should I Continue Cortisone Treatments? So should you seek (or continue) cortisone treatment after a personal injury? It is best to talk to your doctor about this. If you have been using cortisone injections to treat your joint pain and discomfort, and are suffering side effects, your doctor will probably not administer a cortisone shot again. Also, if previous attempts to use cortisone have not helped your pain or inflammation, chances are that your doctor will probably not give you a cortisone shot again. Some people are more likely to suffer the side effects of cortisone injections than others, so your doctor will determine if the drug is right for you by looking at your medical history. If you have high blood pressure or diabetes, chances are that you may have to find other medical treatment to manage your joint pain. 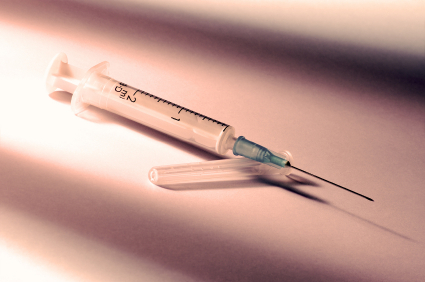 This was a brief overview of cortisone shots and their benefits and risks. Be sure to talk to your doctor about the potential side effects of the drug before you use it as a treatment. The top-rated personal injury attorneys at Jurewitz Law Group are especially concerned about neck, back, knee, and shoulder injuries that people suffer following an injury accident. If you are ever injured in an accident through no fault of your own, please contact our San Diego personal injury law office at (888) 233-5020 for a free consultation.